Neil Lowenstein serves as Department Manager of the firm’s Construction and Public Contracts Law practice. Neil has been an attorney with Vandeventer Black since 1989, during which he has focused his practice on construction law, public contract law, suretyship and fidelity law, and alternative dispute resolution. Neil also has experience with various administrative, regulatory, and environmental matters, and is an experienced litigator. In addition to Virginia, Neil is licensed to practice law in North Carolina and the District of Columbia. Neil is admitted to practice before all courts in those states, as well as the United States Courts of Appeals for the Federal and Fourth Circuits, the United States District Courts for the Eastern and Western Districts of Virginia, the Eastern, Western and Southern Districts of North Carolina, the District of Columbia, as well as the Court of Federal Claims. Neil has also represented clients before various Boards of Contract Appeals, the General Accountability Office, and other administrative tribunals. Neil is active in numerous construction trade associations, and has served in various leadership positions in them. For the Associated Builders and Contractors, Virginia Chapter, Neil has served on the State Board, has served multiple terms as Hampton Roads Regional Leadership Committee Chairman, and has served as a member of the State PAC. Neil is also a long standing member of the Hampton Roads Utility and Heavy Contractors Association, and has served as chair of its Legislative Committee. Neil is also active in other local trade associations, such as the Associated General Contractors of Virginia. His experiences with those associations in helping to shape industry standards, practices, training and collegial relationships, his hands-on construction industry experiences, his regulatory experiences, and his military and leadership training all help him provide unique advice and insights in addressing his client’s legal needs. 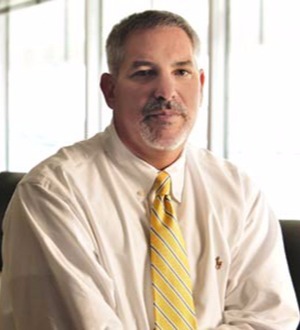 Neil served over 20 years in the United States Army Reserve in various command and staff positions as an Infantry and Civil Affairs Officer, helping to give him unique training, experiences, and insights for client problem solving. Although Neil regularly litigates matters in a variety of courts before judges and juries, he also has extensive arbitration and other alternative disputes resolution experience. Neil has arbitrated complex construction disputes before multi-arbitrator panels and single panelists, and helped develop streamlined arbitration procedures to expedite and reduce the costs of hearings. Neil is also an experienced negotiator. Neil has received mediation training, has taught negotiation classes, and regularly uses his training and experience to facilitate win-win solutions for disputes.